Once you get started learning to crochet you quickly learn how important it is to build your rows properly. we do this by using a turning chain when progress from one row or round to the next. 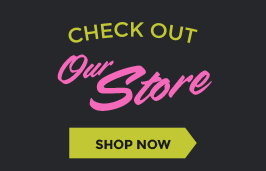 This ensures that our work is shaped correctly. I’ve made a handy Crochet Turning Chain Chart to help you. It can be tricky to remember how many turning chains you need for each type of crochet stitch. If you are following a pattern the instructions will tell you, but if you’re just trying a new stitch pattern or following a video you may not always have specific row instructions for the turning chain. 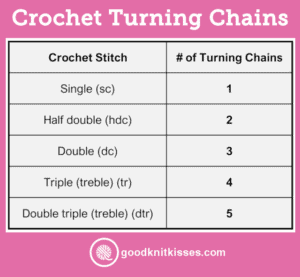 I hope this handy Crochet Turning Chain Chart becomes a quick reference to speed you on your way as you craft!